King County Fire District 20 conducts periodic CERT basic courses. The fundamental classes will be taught on weekday evenings with one final training taking place on a weekend. 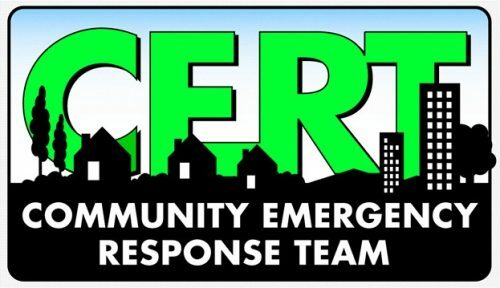 To learn more about the upcoming CERT course please complete the form below. You will be contacted by the Skyway CERT Program Manager. 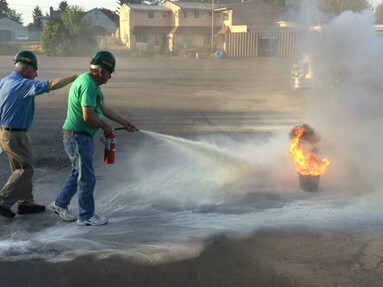 The Community Emergency Response Team (CERT) training program was developed following the Mexico City earthquake in 1985. During that earthquake firefighters from the Los Angeles Fire Department (LAFD) notice that first responder resources were not available due to the overwhelming amount of devastation. This resulted in area residents stepping in to help the victims. Unfortunately, these would be rescuers lacked training which resulted in additional injuries and fatalities. Upon their return to the United States, the LAFD started the first CERT program and the first official CERT class graduated in 1986. In 1987, the Whittier earthquake struck the Los Angeles area and the newly formed CERT teams proved invaluable. This cemented the CERT concept of trained neighbors safely helping neighbors. In 1993 the Federal Emergency Management Agency adopted the CERT program and developed a nation-wide training template. 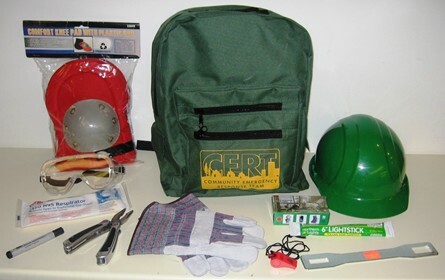 The CERT program educates area residents about disaster preparedness for the hazards that may impact their community and trains them in basic disaster response skills. The training includes the following 6 modules and 1 disaster simulation. - Disaster Preparation: Covers area specific hazards like earthquakes, windstorms and chemical releases that could affect the Skyway area. The class focuses on what actions CERT members and their families should take before, during and after an emergency. It also covers the local laws and regulations governing disaster volunteers. Medical Operations Part 1: This unit will cover triage and rapid treatment of bleeding and airway injuries. Students will learn how to use household materials to stop bleeding and care for patients. Medical Operations Part 2: This unit completes the first aid portion of the training including head to toe exam and how to establish medical treatment areas. Fire Suppression: This module covers the chemistry of fire and the safe use of fire extinguishers. All participants will be given the opportunity to use a fire extinguisher on a real fire. Light Search and Rescue: this module covered how to decide on which buildings are safe to enter and perform a rescue. CERT members also learn how to search buildings and perform basic rescue and victim removal. Psychology and Team Organization: Covers signs and symptoms that might be experienced by the disaster victim and workers, and addresses CERT organization and management. Course Review and Disaster Simulation: Participants review and practice the skills that they have learned during the previous six sessions in a disaster activity.